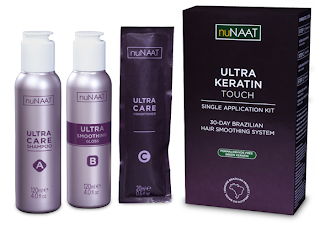 nuNAAT Ultra Keratin Touch Follow-up - Beauty Blvd. As requested I’m reporting on the status of the keratin treatment 3 weeks after the initial application. As I said before I usually get my hair washed and set with a blow out on the roots only just to smooth new growth. After washing it myself last week (2 weeks post Keratin Treatment) I can say it was easier to detangle and I saw less hair in the comb after the process. My usual salon trip (3 weeks post) was uneventful, I noticed nothing new with regards to that. Again I was unable to comb through the hair the required amount of times because the process was such a daunting task. Could this be the reason changes are not as noticeable? Maybe. But it was just about impossible to follow the steps within the required amount of time. My hair looks just as it would’ve post salon trip 2 months ago as it does today. 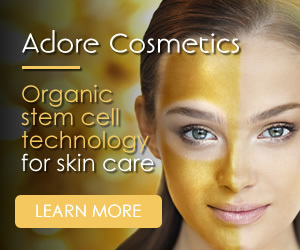 The change was noticeable after the initial application but it wasn’t dramatic enough to make the process worthwhile.